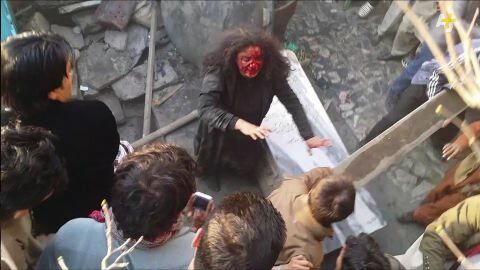 Farkhunda Malikzada, a young Afghan woman was stoned to death in the capital Kabul during the winter of 2015, in what was later pronounced to be the turning point for the oppression of women in the war-ravaged country. Despite the horror the accident echoed across the country as well as condemnation and promises to make life better for Afghan women, three years later, the situation has changed very little. The war-torn country has seen multiple incidents of this identical nature in remote and quiet corners, where the nascent media of the land has no or little coverage. This comes as the Special Inspector General for Afghanistan Reconstruction (SIGAR) revealed this week that the multi-million dollar flagship ‘PROMOTE’ project has failed to improve the lives of women in the country. As per a SIGAR report, the United States Agency for International Development (USAID) has spent $280 million on a programme intended to help tens of thousands of Afghan women enter the country’s workforce and secure promotions. Since the commencement of the programme in 2015, however, the results are far away from satisfactory. This exposes another bitter truth about the mindset of foreign donors who are more inclined towards high profile projects aimed at the relatively well-off limited urban class rather than the bulk of the of country’s rural population who desperately needs attention and support. In almost all such cases of persecution of women, the use of religion is evident. Marginalised Afghan women who continue to long for social and economic empowerment are thus exploited, despite years of generous foreign funding and campaigning for their rights. Farkhunda was lynched by an angry mob for her alleged disregard for the Holy Quran, a charge ostensibly levelled against her by a fake spiritual healer commonly known as ‘taveez nawees’, a man who writes amulets. This week, the country’s social media scene was flooded with a viral video of yet another ‘taveez nawees’ taking advantage of poverty struck and vulnerable rural women in the country’s restive north. According to local media, the culprit Mula Rasool used the disguise of being a pious man of God, promising to heal women suffering from physical and mental issues, but in reality, assaulting them sexually and later blackmailing them for money through the secretly filmed videos of the assault. In order to curtail such abuse of power, only supremacy of the rule of law, a focused awareness campaign together with the provision of basic health services across the country will succeed in liberating Afghan women from such grave injustices. California Gov. Jerry Brown has signed a bill stipulating that all state electricity must be produced by carbon-free sources by 2045 - but is that enough? The journalist fraternity in Afghanistan lost two more young and promising members in a seemingly recurring phenomenon exposing the brutality of terrorists. Social disruption has returned to the East of Germany after the shocking events that recently took place in Chemnitz. With the stroke of a pen, millions of citizens across South Sudan have been given new lease of life.